The Valdadige Organic Kamut Sfizzi are made unique by the use of KAMUT® khorsan wheat, originating from organic farming, to which is added extra virgin olive oil, natural yeast and salt. 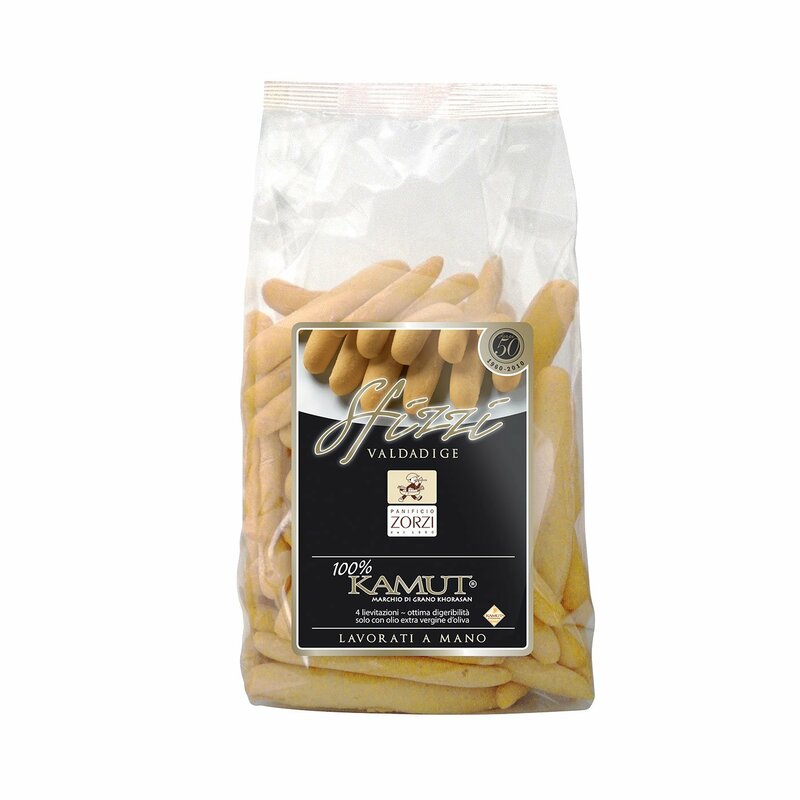 Kamut has a higher content of protein, mineral salts and fats than normal wheat. For this reason, the Valdadige sfizzi are easy to digest, are energy boosting and perfect for snacking any time of the day. 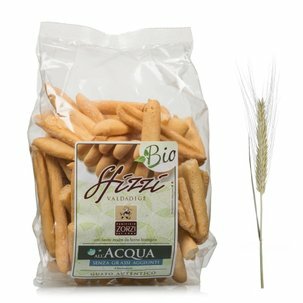 Ingredients Remilled organic Khorasan Kamut® wheat semolina, Organic extra virgin olive oil 5.7%, Kamut Starter Yeast, Salt. Allergens: gluten. May contain traces of sesame, soya. For more information on product labels, please contact our Customer Service department. The information on the labels of the products may vary for reasons beyond our control, therefore, there may be discrepancies between the information on the site and that on the products delivered. Please always check the information on the product before consumption or use.